The new Oppo R7s phablet, officially unveiled! 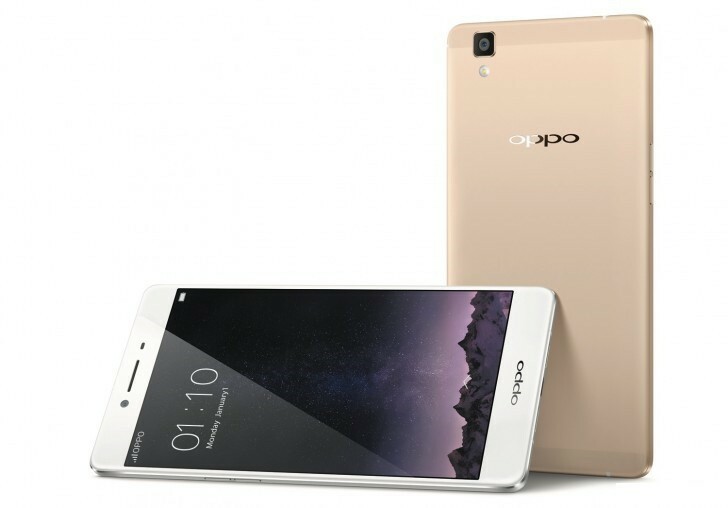 You are here: GeekSays Technology News » Android » The new Oppo R7s phablet, officially unveiled! Despite having some excellent handsets in their portfolio, the folks over Oppo are still far from being one of the top manufacturers on the market. Still, after the launch of their latest phablet, Oppo R7s, we have some pretty serious reasons to believe that more and more people will start hearing about them. Is a mid-range spec sheet enough? The smartphone features a 5.5″ AMOLED display, protected by 2.5D glass, while under the hood it has a Snapdragon 615 chipset, with an octa-core CPU, aided by an Adreno 405 GPU and an impressive amount of 4 GB of RAM. The internal storage capacity of the Oppo R7s counts 32 GB, but it does have a microSD card slot, so you can expand it with 128 more GB. On the back, we can spot a 13 MP camera, with Phase Detection Auto Focus, teaming up with an 8 MP front snapper. As for the battery, it has a capacity of 3070 mAh and it’s using the Quick Charge technology. Thanks to the VOOC rapid charger, the Oppo R7s will be able to make it through a 2 hour talk after being plugged in for 5 minutes, which is more than impressive. In order to fully charge it, the phone needs less than an hour. The device, launched this weekend in Dubai, will start hitting markets from Thailand, Vietnam, Singapore, Taiwan, Malaysia, Australia and Indonesia in the next month, according to Phone Arena. Also, other territories, like the Middle East, North Africa, will get the phone in December, while U.S. and European customers won’t be so lucky, as the only way to get the Oppo R7s will be through the OppoStyle web platform. Currently, there’s no information about the price of the smartphone.